- our team is ready to complete any custom request related to phpFox! Hi phpFox users and upcoming community owners! During 3 days, July 3 - July 5, 2017 phpFox is giving 20% off discount to all those who will purchase a new license. You can use the coupon code 4JULY to avail the discount on your purchase. Thanks for tracking our updates. We hope you enjoy promotions we make on our powerful products, tools and solutions. This month we have made a lot of improvements in our most popular products and prepared a special sale offers for you. 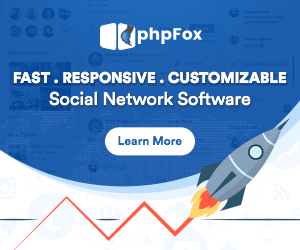 For 4 days only, phpFoxer is offering all of our clients to purchase phpFoxer solutions exclusively with 25% OFF using phpFoxerEaster promo code in phpFox store. That's right, you can purchase any of our phpFox themes or addons and get an exclusive 25% off right away! Good news today, phpFox released version 4.5.2 which includes some improvements and fixes related to phpFox core. phpFox team reported that they focused on core script quality basing on feedback from phpFox community and GitHub bug tracker. We have created Geo Bulk Package in order to gather all apps based on geo in one place.